If you’re a parent and you’re uncertain about what age a child should go to the dentist for the first time, you’re not alone. The answer surprises many parents because it’s much earlier than they might think. Your child’s first visit to the dentist should take place after their first tooth appears, but no later than the first birthday. As soon as your child has a tooth they can get cavities, but we look at more than just their teeth at The Silverstrom Group. As a baby matures, their swallow pattern matures with them. During their first year, babies swallow differently than the rest of us. They use a suckle swallow pattern that includes them moving their tongue forward and backward to extract milk from the breast or bottle and sending it to the back of the tongue to swallow it. At around 12 months, a child’s swallow pattern begins to change and mature and there is a wide range of things that can interfere with progression from infant suckle to a more mature swallow pattern. As a child, we have a lot of muscles to build as we develop and anything that may get in the way of development can have long-lasting effects. The sooner we can recognize these issues, the sooner we can treat them so they don’t hinder your child’s development. Your child’s first visit to the dentist sets a precedent for what to expect in the future and getting them comfortable with their dentist is going to make future visits easier for everyone. If you put off taking your child to the dentist until they have a full set of baby teeth, you run the risk of their first visit being one that involves filling cavities and removing excess plaque buildup. As you can imagine, that is a pretty traumatic first experience and it’s likely your child will fight you next time because they don’t want to go through that experience again. By starting early, you can talk to the dentist about good oral hygiene habits and your dentist can show your child how to brush so they feel empowered and part of the experience even if they still need your help. This is a great opportunity for you as a parent to bring up any questions you have or issues you’ve noticed so you can have peace of mind that your child has a healthy mouth. 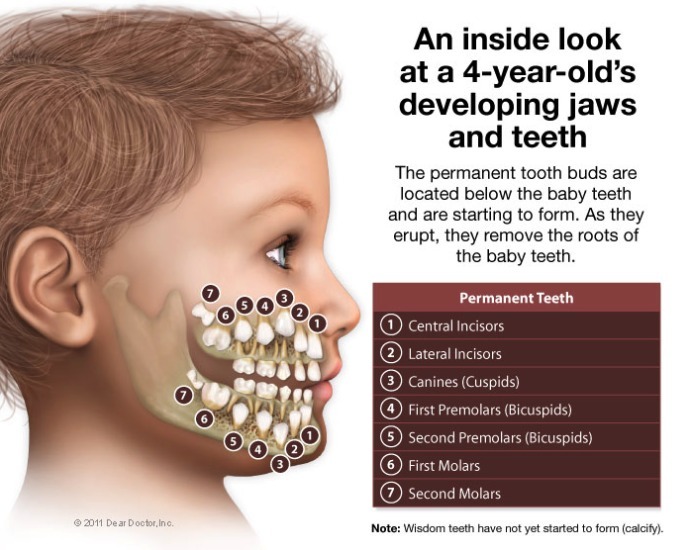 The answer to the question, “what age should a child go to the dentist for the first time” surprises some parents and some parents assume that because baby teeth will eventually fall out there’s no point in caring for them. That could not be further from the truth. 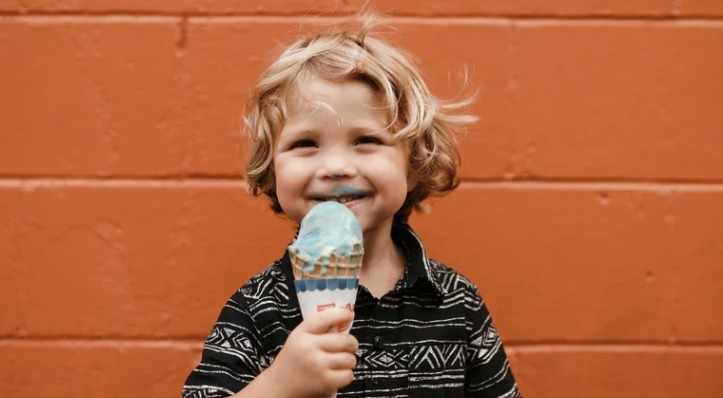 Your child’s permanent teeth are developing under her primary ones and it’s important to have a dentist check to see that everything in your child’s mouth is developing normally. Of course, there is more to good oral health than teeth and making sure your child’s gums are healthy is crucial. On top of that, orofacial issues can arise early on and are best treated early so that they don’t impede your child’s development. • Don’t schedule your child’s dentist appointment during their usual naptime. • Approach going to the dentist as a fun and happy experience even if you don’t enjoy dental appointments yourself. Your child will read your body language and respond in kind. • Be careful about the words you use to describe going to the dentist and avoid words like “pain” and “hurt” as well as over-complicated and somewhat scary words like “cavity”. The lack of understanding of dental terminology can cause anxiety in some kids. • Make sure your child has had a light meal and brushes their teeth before their appointment so they won’t be hungry and fussy during their visit. • If your child expresses fear about visiting the dentist, try playing dentist at home first so they have an idea of what to expect. • Don’t share your horror stories with them. It may seem obvious but some people do this as a way to relate to kids. • Choose a dentist who is familiar with pediatric dentistry and how kids respond to things. In our office, our hygienists give them a “ride” in the dental chair and talk about how brushing helps stave off “sugar bugs”. We even have a set of teeth with “sugar bugs” inside the mouth to show kids that they can make holes in teeth. We also give them the option of watching their favorite cartoon on the TV if they need a bit of distraction. • Rely on your dental team to know how to deal with just about any issue that could arise. We deal with children in the office on a daily basis and know what works to keep your child as relaxed and happy as possible. We are here to help and we’ve probably already seen it all so don’t worry or feel embarrassed if your child doesn’t want to cooperate at first. If you’re wondering “when should I start taking my child to the dentist?” know that you’re not alone and it doesn’t have to be a negative experience for either of you.